The Roots Agency is honored to be nominated for Independent Booking Agency of the Year. 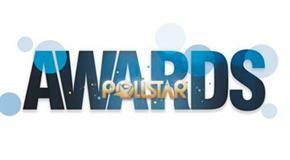 Winners will be announced at the 28th Annual Pollstar Awards, which concludes the Pollstar Live! 2017 conference. The ceremony, honoring the best of the worldwide touring industry, convenes at The Novo in Los Angeles on February 2, 2017. Congratulations to all Pollstar Award nominees, including the other fine agencies in the Independent Booking Agency category—The Billions Corporation, Circle Talent Agency, High Road Touring, Madison House, Pinnacle Entertainment, Red 11, and of course, The Roots Agency!